Luis Pérez is a technical assistance specialist for the National Center on Accessible Educational Materials. In this role, he promotes the creation, delivery and use of high quality accessible educational materials and technologies to support equitable learning opportunities for all students. 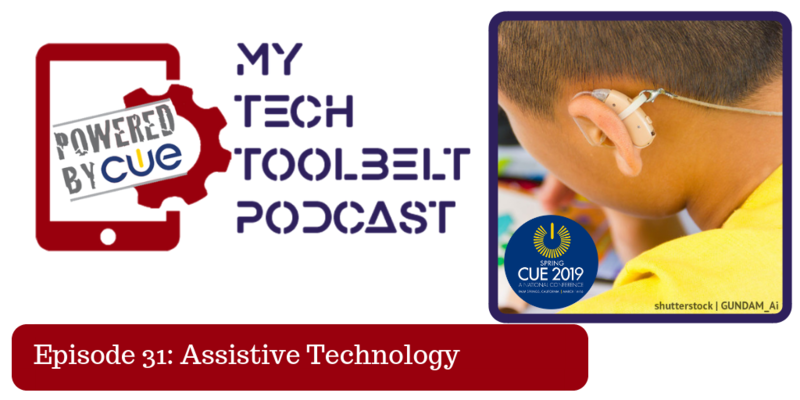 Listen to him discuss how assistive technology can enhance your classroom! Click here to listen or for more info. ​Kristen Johnson from Alabama was a first year teacher that was feeling a bit unsure of her progression with her students during the second half of the year. 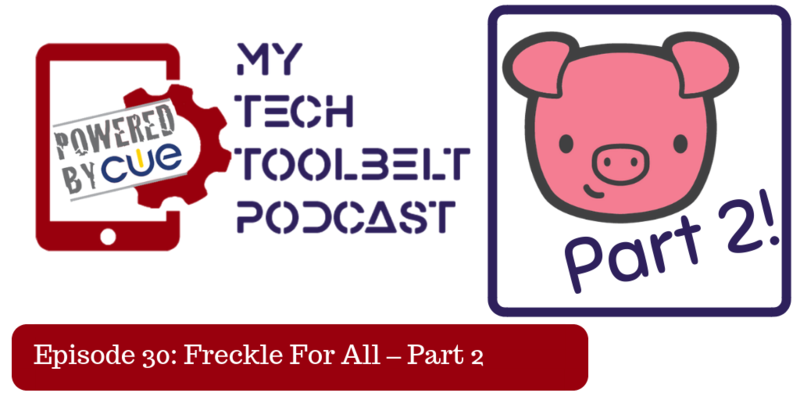 Join us as we talk about how Freckle helped her students prepare for their mandatory testing in April. 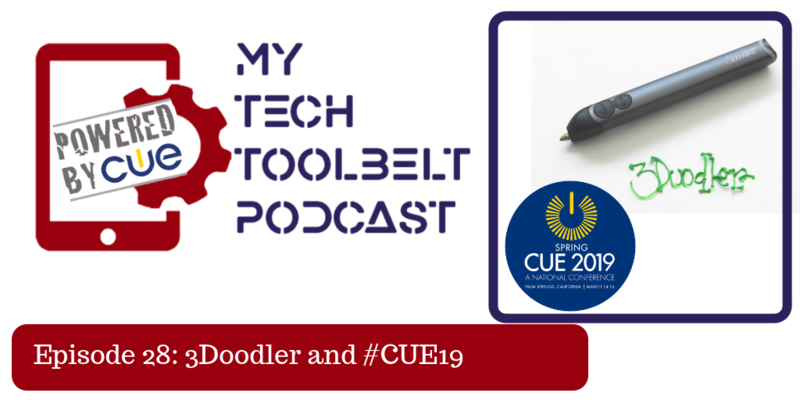 Did you miss CUE 2019 or just want to recap the best parts? 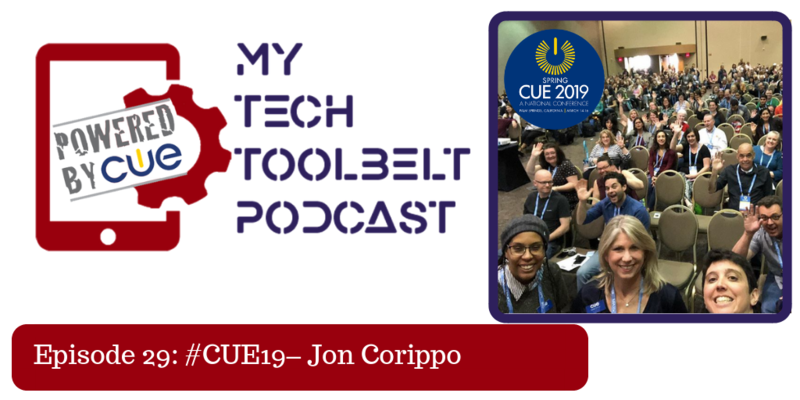 Listen to our #CUE19 review and hear us catch up with CUE Executive Director Jon Corippo. Episode 28: 3Doodler and Cue It Up! Click here to listen or for more info & show notes. ​Looking for a way to differentiate instruction for everyone in the classroom? Well, you are in for a treat as we speak with Sarah Emerling, a Special Education teacher from South Carolina where we talk about Freckle. 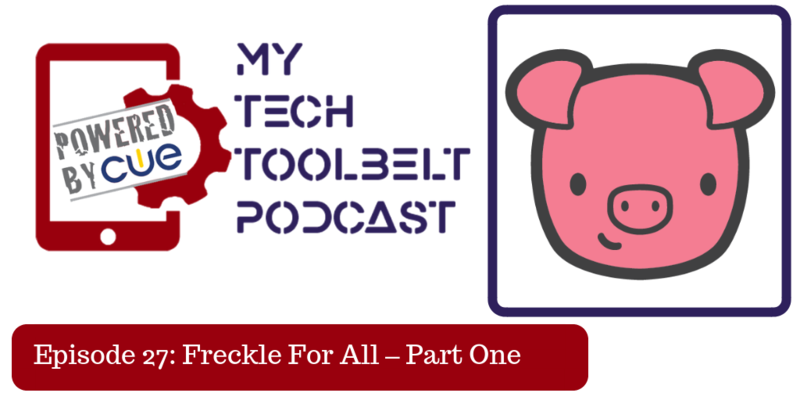 She tells us how Freckle wants to reach all of your students at the level that’s best for them! ​Click here to listen or for more info & show notes. ​Looking for a way to have enhanced or a alternative resources for your curriculum? 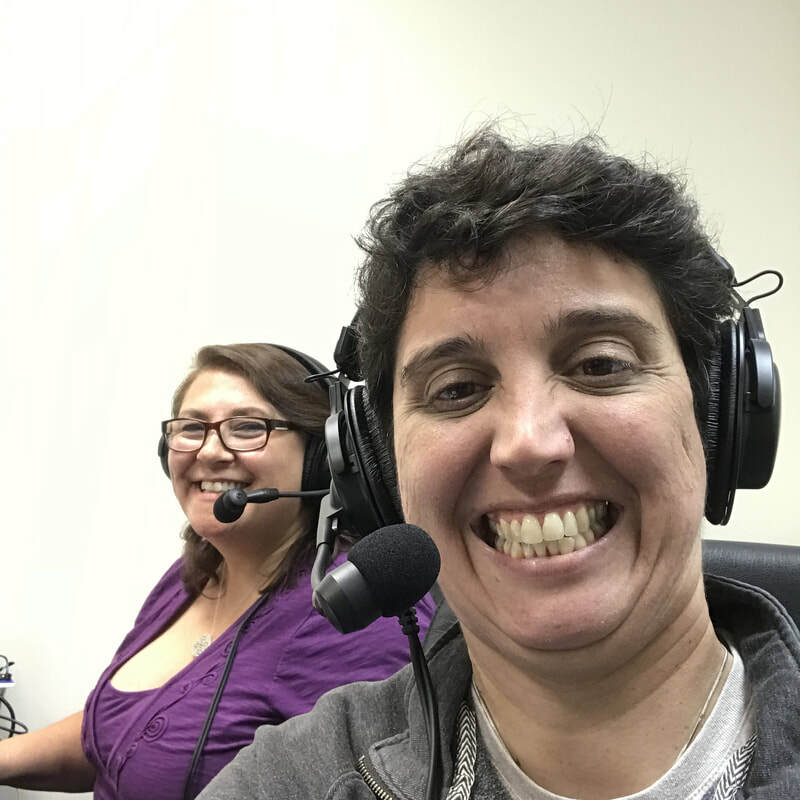 Well, you are in for a treat as we speak with Kristina Ishmael from New America where we talk about Open Educational Resources, or OER. She explains what type of resources are available, licensing, and how you can use the resources once you have them. 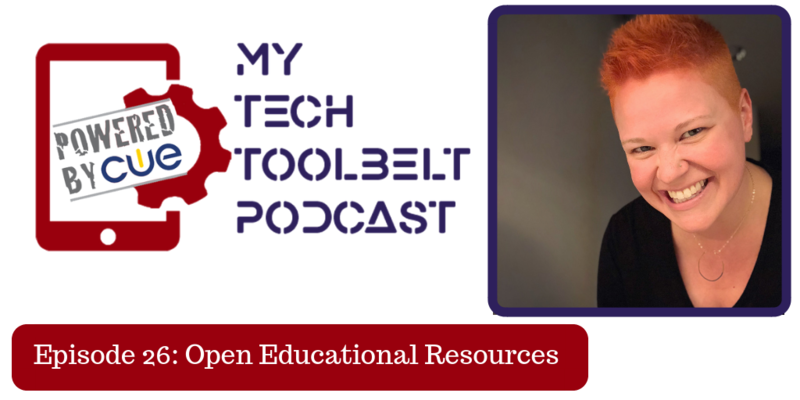 Kristina’s enthusiasm about OER will have you excited to see how you can use OER in your school. Open Educational Resources (OER), are teaching and learning materials that you may freely use and reuse, without charge. 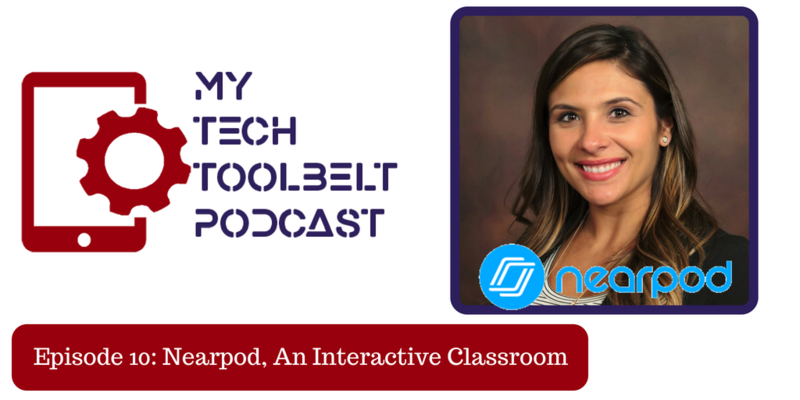 Wouldn’t it be great to use technology that students already love and many are using already? 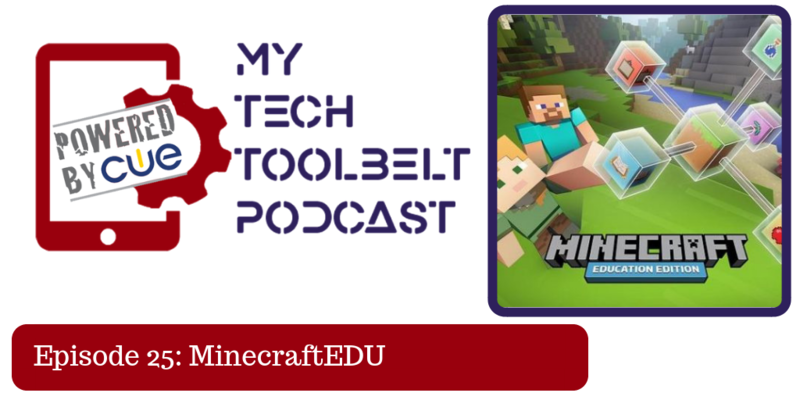 Join us in our conversation with James Pike and Neal Manegold where they tell us about the different ways you can use MinecraftEDU in your classroom. Don’t be afraid to try it, they will tell you just how easy it is to get started! 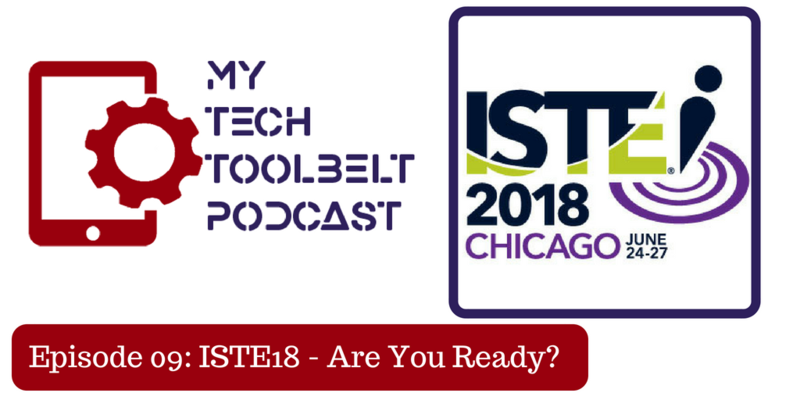 ​Have you thought about finding a group of educators that are as interested in technology as you are? 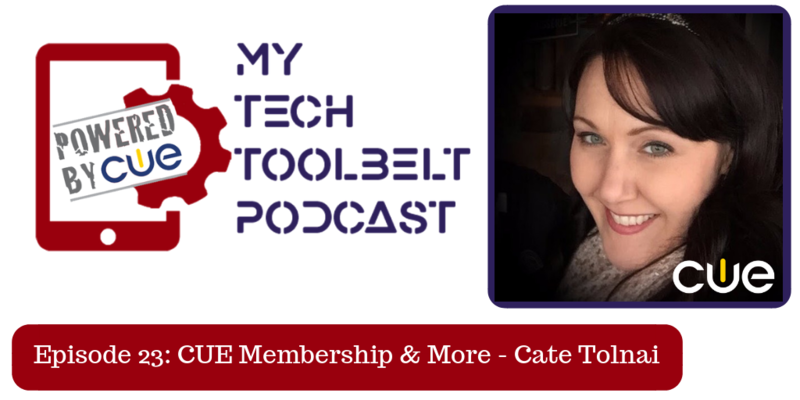 Well, today we are speaking with Cate Tolnai, Director of Member Engagement for CUE. Cate explains all the wonderful advantages there are to joining a group like CUE. ​Have you thought about exploring the world of 3D printers? Do you have a 3D Printer, but not sure what to do with it? 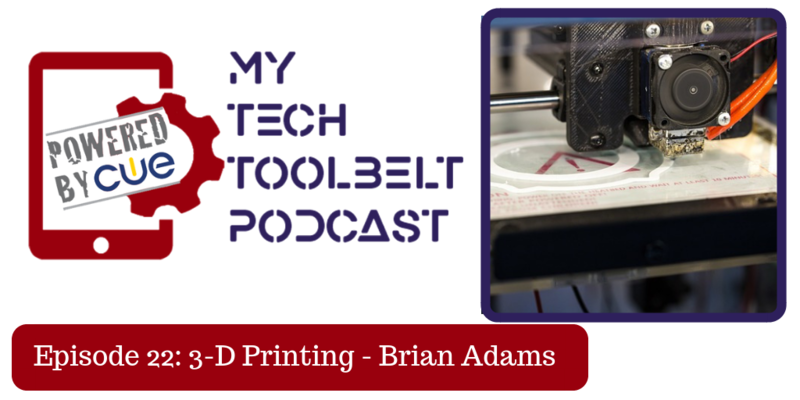 Join us in our conversation with Brian Adams where he tells us about different types of printers, price points, maintenance, and things to look for in a quality printer. He also gives us resources for templates to get you started right out of the box! 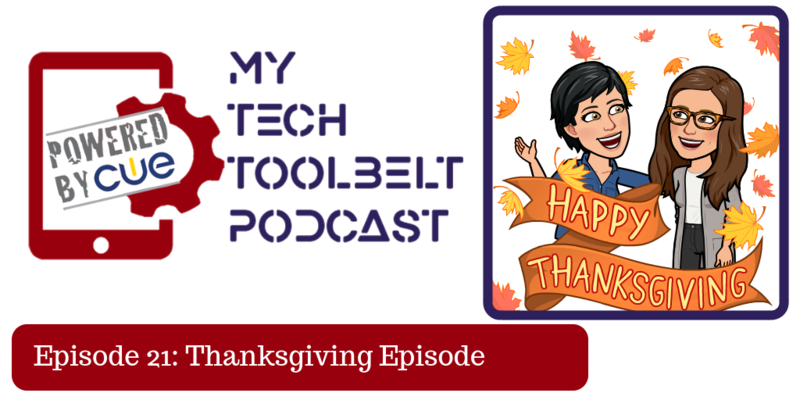 We are so thankful for all of you who supported us as we started this podcast. We continue to be thankful to all of the teachers who are working in the classrooms and impacting the lives of the future generations. Click to get links to everyone we mention in this episode! Kahoot! is a fantastic game based tool where students can engage with content in a fast paced dynamic environment. 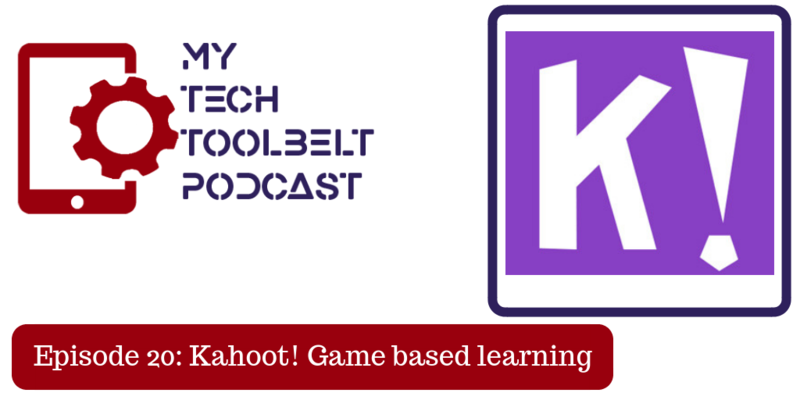 In this episode we talk to Peter Paccone, a high school civics teacher, about how his students use Kahoot! in the classroom. ​WeVideo is the complete, feature-packed video creation platform for today’s learners. The platform is built with classroom, school, and district-wide use in mind. 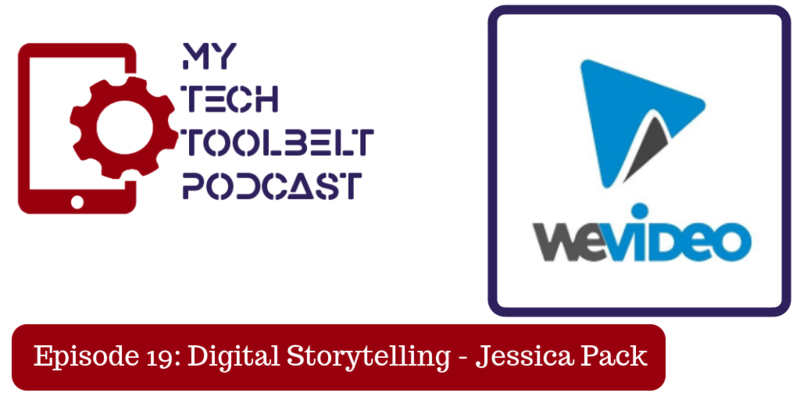 Jessica says, “WeVideo is browser-based video editing software, with options for green screen, webcam recording, and screen recording." ​Jillian Hoffman is an elementary school teacher in Torrance, California. She has 15 years of teaching experience in both private and public schools. 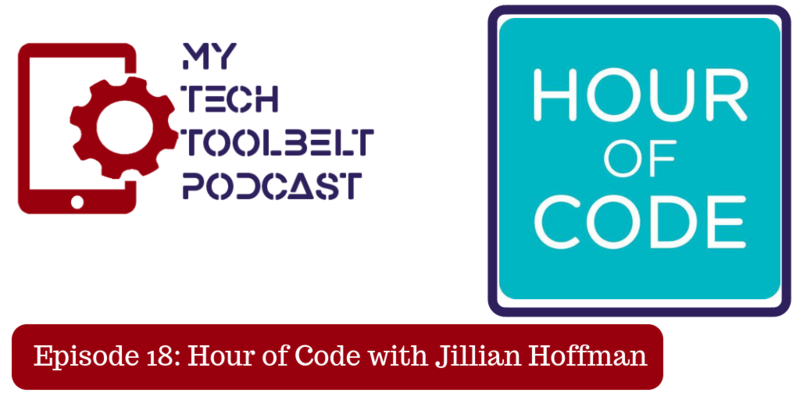 Jillian takes us on her journey from not having any coding experience, to writing a grant to get the project off the ground into her new school. Then, showing other teachers at her school how to implement Hour of Code into their curriculum. ​Soundtrap - Soundtrap EDU is an online tool that enables teachers to follow the latest curriculums through music, podcasts, language, literacy training and other sound recordings. A creative environment in which students can collaborate and develop their own creative and communication skills. ​Are you stuck in the lecture-and-worksheet rut? Many teachers continue to struggle to break out of the corporate lesson-and-worksheet cycle to find fresh, meaningful ways to develop original, engaging and effective instruction. 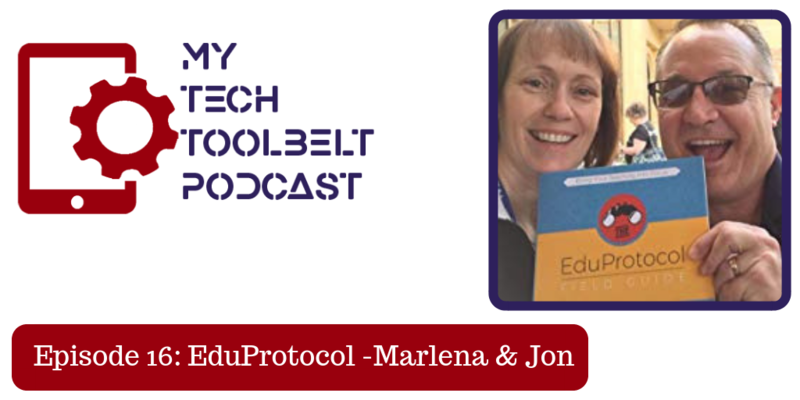 In The EduProtocol Field Guide, Jon Corippo and Marlena Hebern outline sixteen classroom-tested protocols to break up clichéd lesson plans, build culture, and deliver content to K–12 students in a supportive, creative environment. 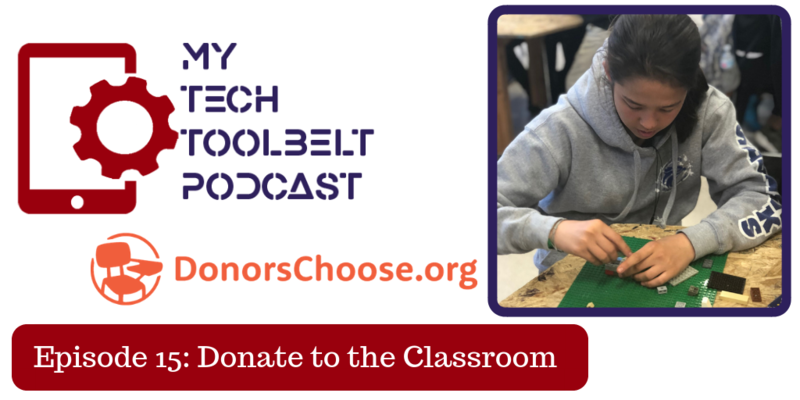 Keani Romero, a middle school teacher, shares with us how she uses Donors Choose in her classroom: "My students are excited to come to my class every day because they are learning how to use technology in a new way and learning how to manipulate objects with their hands. It's new and fun for them and I truly feel we need more of this type of learning in all classrooms. I have had a lot of success obtaining donations via Donors Choose and have added some very exciting tech tools to my classroom. I'd love to share what has worked for me so that more teachers can benefit from this amazing resource." Click here for more info & show notes! 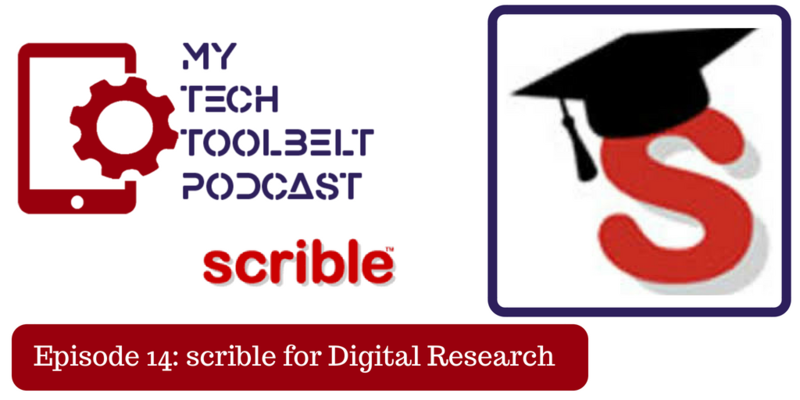 Matt tells us how he uses Scrible, “Scrible is a tool that takes much of the micromanagement and headache out of facilitating research-based assignments and projects in the classroom. It has been a dream come true for teachers like myself who are teaching humanities courses that require students to research and manage a collection of sources in an inquiry-based model. Scrible is cloud-based so any device with internet can access student and teacher libraries. Assignments both large and small work well with Scrible due to its text editing, citation and realtime collaborative features. It also affords teachers the ability to modify their instruction or manage projects based on data-driven results. 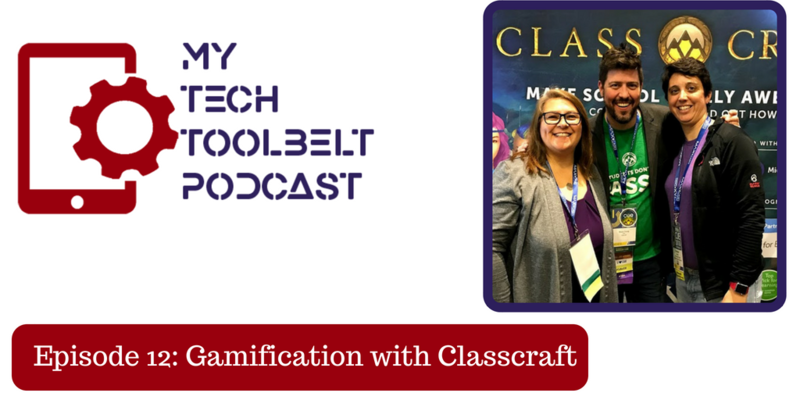 ​Classcraft is a video game-like tool that brings fun into classroom management and learning. The mythical adventures put a unique twist on standard routines. 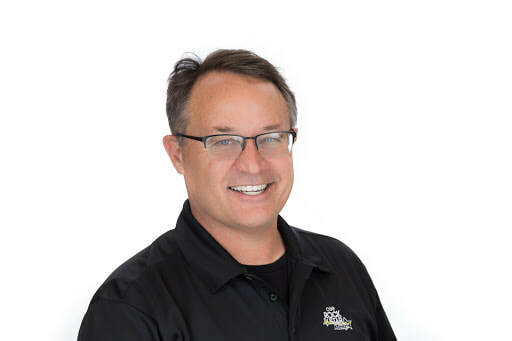 Join us as we talk with the founder, Shawn Young about his vision for Classcraft at CUE18. 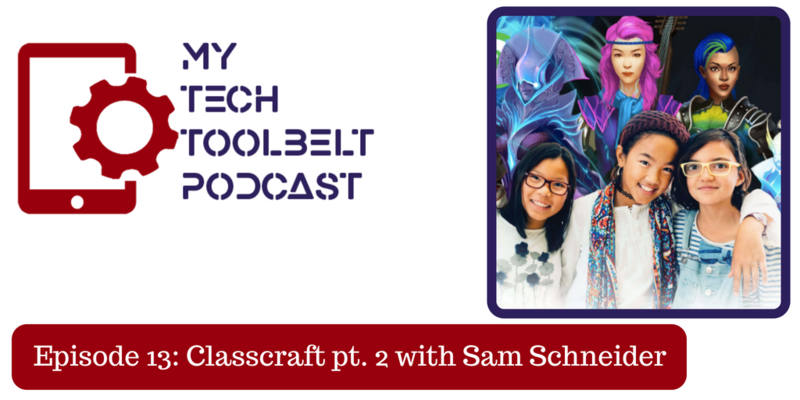 Amanda Moore, a fourth grade teacher, also discusses how she uses Classcraft in her classroom. 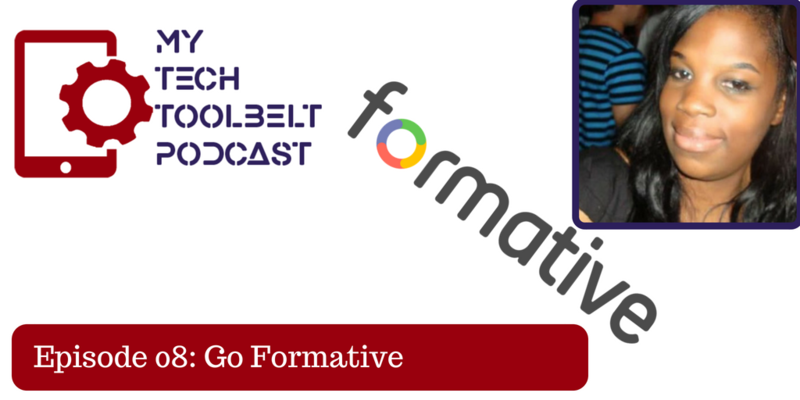 Co-Founder, Craig Jones talks to us about how and why he created Formative and how it transforms teaching, by tracking student growth to a new level. Our Guest Teacher, Danielle Moore talks about how she uses this assessment tool in her classroom. BOLD, which is the Premier Blended and Online Lesson Design Symposium on the West Coast, and is hosted by CUE. This event was held in May 2018 on a Saturday and Sunday. "CUE’s second BOLD Symposium will take teachers, administrators, and district leaders on a deep dive into the world of blended and online lesson design. We were able to meet-up with Jon after the CUE 18 Spring Conference. We found him so personable and fun. By the end of the interview, we were both blown away by his innovative ideas and his fresh take on the status quo. 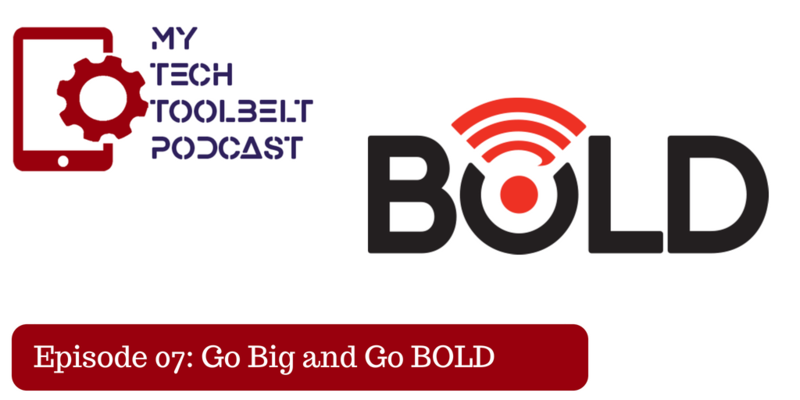 In this episode we welcome Zoe Bader to our podcast. Zoe joins us from Watts in Los Angeles, CA. Zoe will be sharing about how she is using Go Noodle in her 3rd - 5th grade classes. 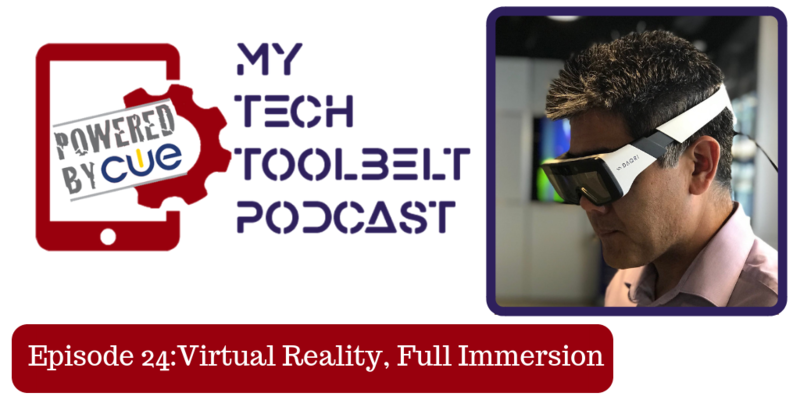 In this episode we welcome Mary McCormick to our podcast. 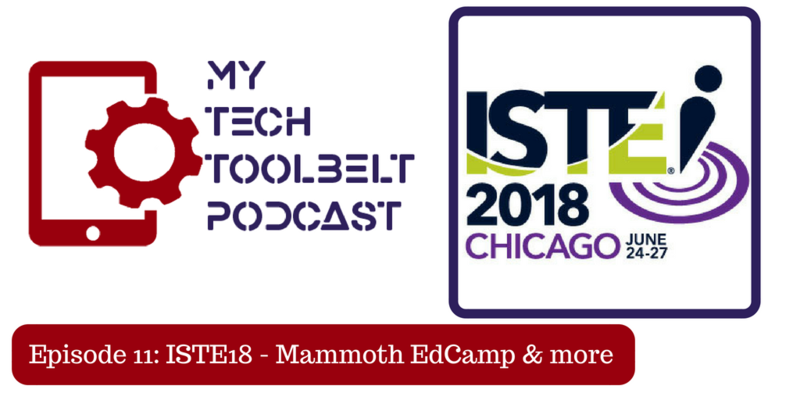 Mary joins us from San Jose, CA where she share how she is using the TouchCast Studio app with here Jr. High students in science class. 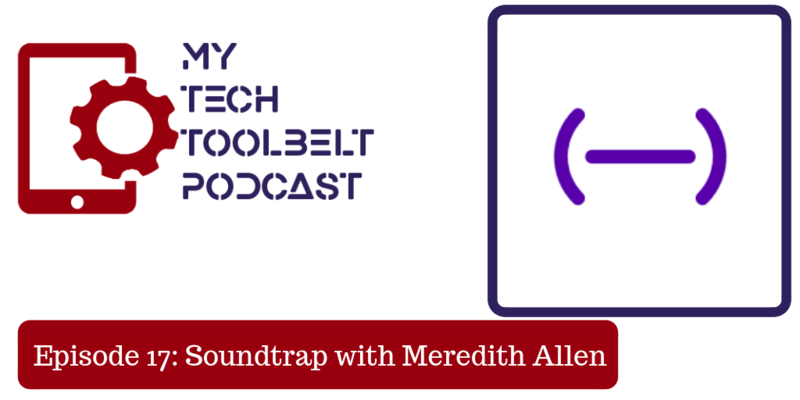 This is the episode where you get to know Brenda & Shannon and why we started the My Tech Toolbelt podcast. This podcast is a labor of love and there are many folks who support us in this. Friends and family that help us with the equipment, the editing, the scheduling, the childcare, etc and without them this would not be possible. We hope you like listening to this first conversation we recorded for you!